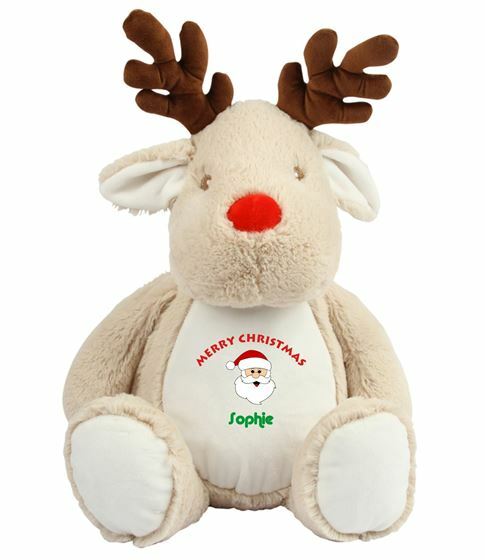 Brown coloured soft plush reindeer. Red nose and contrast antlers. Cream coloured panel on ears, tummy and feet. Please ensure spelling is correct as once personalised item will be non-returnable.